Ed Note – This week Eric Hanushek and Diane Ravitch debate the pros and cons of more concerted efforts to remove the lowest-performing teachers in schools. Hanushek starts the discussion today, Ravitch responds tomorrow, and additional responses Wednesday and Thursday as well. Almost everybody concerned with educational policy agrees on two things: the U.S. has a very serious achievement problem and teachers are the most important element in our school for addressing this problem. Beyond these, agreement breaks down. In the face of this I want to offer one simple thought: The future of our schools depends heavily on dealing with the small number of teachers who simply should not be in the classroom. Specifically, by replacing the bottom 5-10 percent of teachers with the average teacher found in today’s classrooms, research indicates that the achievement of U.S. students would rise from below the developed country average to near the top if not at the top. The gains to students and to the U.S. economy from that improvement are truly enormous – making it worth considering some alternation in current policies that ignore the problem. It is useful review the evidence. The details surprise many who begin by accepting the opening line as being factual. First, U.S. students are not competitive with those in other countries. They fall below students in the typical European country, comparing favorably to only students in a few such as Greece. On the PISA assessment of international math proficiency, the average U.S. student falls around the 34th percentile of Canadian students and the 28th percentile of Finnish students. Second, trailing, say Canada, by the amount we do acts as a brake on future economic growth, and the costs to the economy from lost growth are 25 times the costs of the current recession. Third, and most important for this discussion, the variations in teacher effectiveness are huge, probably larger than most parents realize. Teacher effectiveness here is placed in simple terms – how much do students learn with a given teacher. Considerable research has gone into separating the impact of teachers on achievement from that of families, neighborhoods, and school peers. This research has produced extraordinarily consistent and similar results. From one perspective, a very good teacher can get a year and a half of student gain in learning over a school year, while a poor teacher gets half a year – a huge difference that leaves some students permanently harmed. It turns out that overall impacts are particularly important at the bottom end of the teacher distribution. If, as noted, we could replace just the bottom 5-10 percent of teachers with an average teacher, we could expect the achievement of U.S. students to rise at least to the level of Canada and perhaps to Finland. But think about it. 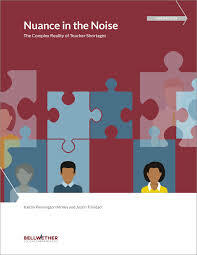 Replacing the bottom 5-10 percent amounts to replacing two or three teachers in a school that has 30 teachers. Such a movement would not startle those in most businesses of the country. Surely it is less than seen in most law or accounting firms or in most hospitals. Nobody doubts that there are teachers currently in our schools who should not be there. And, nobody doubts that the identity of these teachers is known to essentially everybody in the schools – from the principal, to the other teachers, to the students and parents, and to the union leaders. Nonetheless, if one broaches this subject in schools, it is frequently labeled as anti-teacher. To the contrary, it is pro-teacher. The good teachers in the school are simply hurt by being lumped together with the small number of teachers that are harming our kids. Indeed, it is almost certain that the prestige of the profession along with teacher salaries would rise significantly if the good teachers were not tarnished by the bad. Let me close with a couple of responses to people who are critical of this view. First, nothing says that one should use test scores to decide who these ineffective teachers are. In fact test scores are essentially irrelevant, because of the obviousness of the identity of these bad teachers, an identity that would be revealed by virtually any sensible evaluation system. This is not a call for replacing all teachers. Nor is it a call for returning all female doctors and lawyers to classrooms. It is simply a call for applying standard management practices to schools. When we entrust our children to a school, we should be able to trust that they are not harmed. 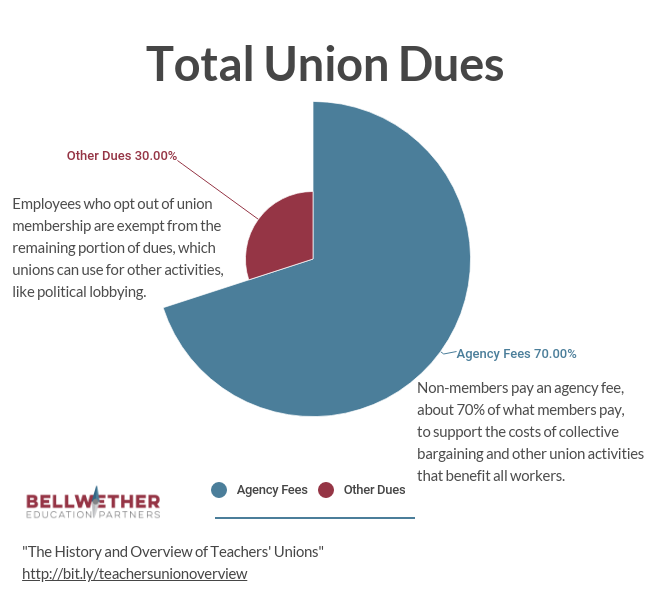 Editor’s Note: The chart that originally appeared in this post has been changed to the one above because the author feels that this graphic – from Education Next – is more clear. Hanushek tries to take a very complicated issue (student achievement) and present a seemingly simple solution: Remove 5-10% of “bad” teachers. One problem with this approach is that determining which teachers are good or bad (or in the middle of the pack) is much harder than Hanushek admits. For example, using value-added testing, studies have shown that teachers who land in the top of the pack one year are often in the middle of the pack or lower the next year. There is little consistency between results from year to year (or even from class to class, among teachers who teach multiple periods of a subject). In addition, multiple studies have shown that teachers are MUCH LESS important indicators for student achievement than the host of out-of-school factors affecting each child, including parental income and education levels (SES), cultural factors, English proficiency, and many other factors. Once again, an academic is attempting to place the lion’s share of the blame for low-performing students on their individual teachers, where time and again studies have told us that teachers are but one small factor in a host of many other factors affecting achievement. This type of “fire the teachers” attitude toward education reform will incentivize teachers to stay away from working in low-income schools, where they risk losing their jobs because they chose to work with the most difficult students. One of the major reasons I was so frustrated as a teacher was watching colleagues who (1) routinely came late to work, (2) lectured, lectured, lectured with no checking for understanding, no revisiting difficult concepts, no group work, no review, etc. and gave tests where the majority of students failed, yet they saw no problem with their instruction, (3) teachers who proudly stated that students could ‘pass my class with extra credit alone’, (4) teachers who didn’t teach ANYTHING that wasn’t printed in a textbook, and (5) teachers who never used data to make an instructional decision in their life. And, strangely enough, since all the teachers I’ve categorized here had been teaching about 5 years or so longer than I had, they were all paid MORE. 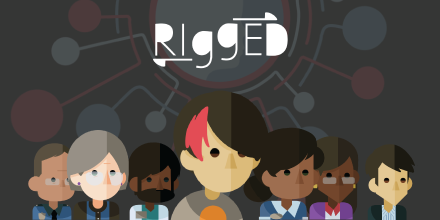 Their educational results were abysmal — and they all, each and every one, blamed the students. I’ve met teachers who come to work drunk; teachers who steal materials from their classroom; teachers who will spend class time on a telephone arguing with a lawyer over an impending divorce; teachers who simply do NOT know the content in their own field (especially middle school teachers in math & science), and they had a job for life. Principals know who they are; other teachers know who they are. Why is it so difficult to fire them? So, can we sign you up in opposing value-added models in the hands of management (that sets policy) for teacher evaluation? While we’re at it, how many quantitative researchers are aware of the differences between classes and schools with critical masses of special education students whose IEPs are for serious emotional disturbances, as opposed to learning disabilities? And since it is management that assigns those classes and sets policy for them, how can they be allowed to interpret test score growth data? How many econometricians are aware of how common it is to have eight to ten kids who have been traumatized to the point where their cognitive processes have been altered in a class of thirty inner city kids? If they are not, how could they attempt to control for such a factor? If so, could you fill us in on their methodologies so that they can be vetted by practitioners? What happens once te lowest 5-10% are removed? Does Mr. Hanushek propose going back the next year to remove the next 5-10%? Seems to me it goes on forever. And he bring up Finland but not how those who choose the education profession are treated. Perhaps if the U.S. made teaching a profession worth pursuing (both monetarily & respectfully) many of these achievement issues could be more quickly remedied. Doug, You must not have read the article thoroughly. It clearly states that after you remove the bottom 5-10%, you do NOT continue that process over and over again. Ravitch should begin her post with an apology to Hanushek for what she said in the New York Review of Books last year. There’s a huge difference between firing 5 to 10 percent every single year, vs. firing 5 to 10 percent once (plus firing new teachers who are bad, but that’s negligible in proportion to the entire teaching pool). It’s clear that Hanushek meant the latter. Having worked as a teacher in many different schools (high performing and low performing), I simply do not believe that replacing a handful of teachers at a failing school will have much effect (if any) on the overall performance of the students. First, as I noted in my comment above, there is significant difficulty in identifying the “bad” teachers in a given school in a systematic way. Principals are always free to use the evaluation system already in place to remove teachers for cause. In addition, out of school factors have a much larger influence on student performance than an individual teacher, leading low-income kids to perform less well than affluent students overall, regardless of their particular teachers. I’m not sure what Hanushek’s idea contributes other than what is already in place in most schools (allowing principals to remove teachers for documented poor performance). Is Hanushek’s idea to allow principals unfettered decision making to remove 5-10% of their teachers for any reason at all, including favoritism? Is his idea to force principals to remove 5-10% of their teachers, even if all the teachers are doing well in that particular school? Sorry, but it strains credibility for someone to suggest, by crunching numbers, that removing the bottom 5-10% of our elementary teaching corps will have the same impact on student achievement that admitting only the top 5-10% of high school or college students into elementary teaching preparation programs has, as in Finland and South Korea. No other country would allow virtually open access to its elementary teacher preparation programs and expect prestige for teachers as well as adequate teaching of math, science, history, geography, et al in the elementary school. I can buy the argument that 5-10% of K-12 teachers nationwide should be replaced. The tricky part, of course, is that the 5-10% are distributed very unevenly. In good or great districts, of which there are many, the ‘bad teacher’ rate is probably a lot closer to 1-2% or even zero. In horrible or mediocre districts, of which there are many, the ‘bad teacher’ rate might be 25% or more. And this isn’t by accident. Contrary to your implication, teachers are *exactly* like accountants or lawyers or hospital workers or LeBron James or any other happiness-maximizing human being: they’d rather work in the best possible surroundings. In other words, assuming everything else is equal, they’d prefer to go to work with Chris Bosh and Dwyane Wade, not Anthony Parker and J.J. Hickson. We all want what’s best for us, and 99% of the time the great district offers superior working conditions than the crummy one. Guess where the talent ends up? The analogy of applying standard management principles in other sectors doesn’t really work, because in no other sector, not even graduate schools of economics, do we reasonably expect the best talent to work for less money under worse conditions. To the extent that teacher quality matters, getting rid of the low-hanging fruit in bad districts isn’t enough. Something must be done to entice the best teaching talents to want to work there. That is a pretty tall order considering how people are wired and how we fund our schools. Can anyone really argue against firing the bottom 5-10% of teachers? What we should be arguing about is how we reliably determine who those teachers are. Any principal his salt could tell you in a second – as could the rest of the teachers, involved parents and even the students. It shouldn’t be rocket science (or value-add). Robert: I wouldn’t be against firing the “bottom 5-10%” of the teachers (although I doubt it would have much of an impact on overall student performance in a given school). However, I disagree with you that any principal worth his salt (and parents, other teachers, and students) would be able to reliably pick out these teachers or that they would agree as to which ones deserved to be terminated. In my experience, there is often disagreement amongst the students and parents as to which teachers were better: A teacher that parents liked because he was strict and assigned a lot of homework might be hated by the students (for the same reasons). A teacher that taught high-level concepts might be loved by the advanced students but resented by the struggling students, who were left behind. A teacher who gave easy A’s and let the kids good off might be liked by many students, but resented by the gifted students and their parents (who want a challenge). A teacher who taught well but was personally unlikable and dour might be disliked by parents and students but liked by the principal. Believe me, I’ve seen examples of all these situations over the years and, as a result, I think that determining who the “bad” teachers are who deserve to be fired is less clear cut than you might think. What I find missing in this discussion (as well as in the discussions of value-added assessment) is an understanding that student learning is produced by the interaction between the teacher and the students. In my experience, teachers are not “good” or “bad” in and of themselves. They are good or bad in particular environments, with particular students. There are teachers who are very good at working with struggling readers but who would not be effective in a 12th grade AP literature class; there are great physics teachers who would struggle in a 7th grade general science class; and there are first grade teachers who find themselves ineffective with fifth graders. Add to that the school/cultural environment and it’s even more complicated. Those who want to be able to quantify teaching may see my way of viewing things as an attempt to avoid accountability, but I predict that efforts to reform teaching by making judgements about the quality of individual teachers without regard to the context in which they teach will fail to improve student outcomes. August: What you say is very astute. I have previously argued on this blog (and elsewhere) that CONTEXT is extremely important when evaluating teacher effectiveness. Having taught in different schools with different student populations and under different administrators, I can attest that context is critical in teaching. I have a suggestion for the problem of tenured but less effective teachers. After evaluating the the success of all the students in a classroom, assign a successful teacher to supervise a less successful one. The successful teacher would determine the lesson plans and see to their application. This successful teacher may not be tenured yet, be younger, and be paid less. The supervised, tenured, teacher may resent this loss of authority and quit teaching. My daughter, a practicing chiropractor, considered becoming a teacher. She started as a substitute teacher but could not afford the year of unpaid student teaching. Why not combined substitute teaching with student teaching? I taught for many years in a Japanese high school, one of those “high-performing” countries everyone is so concerned about. What I saw in classrooms was boring lecturing, little discussion, and overall teacher-centered techniques that left students disengaged and often asleep (Japanese teachers rarely woke these students.) The children were so tired because the spent HOURS every night at cram schools with 1:1 tutoring. They could sleep through class because they knew they’d learn it that night. The Japanese don’t succeed because of superman teachers. How do you decide who to fire when everyone is working so hard? Do you fire the fifth grade teacher who took on the inclusion classroom with 10 children with learning or behavior problems? Do you fire the kindergarten teacher whose students had never been to school before? Do you fire the 3rd grade teacher whose students had had a string of subs the entire year before and were completely out of control? Do you fire the special ed teacher whose students do not make progress as quickly as their peers? And what do you do with the 1st year teacher who is still learning her trade, is she to be fired because she hasn’t had time to improve? What about the art teacher? How do you judge her work? And let’s not forget favoritism. The principal was close friends with one 5th grade teacher. Lo and behold, her classroom had none of the children known to have behavior problems. She had one special education student with a mild disability while the other 5th grade teacher had 10 children with significant disabilities. Classrooms are NOT randomly assigned in schools. The issue of teacher quality is such a complex and subjective topic. Despite what Bill Gates would have us believe, you cannot easily quantify what “good teaching” is, and people’s definitions vary depending on what you value. Stuart, I believe Eric has altered his original response now — changed his tune slightly. Go back and read his Students First interview from Feb 2011 and several other articles where Hanushek discusses the impact over several years of teachers. He wasn’t referring to just one year. He actually defended his theory over multiple years. No one needs to apologize for misinterpreting what he clearly initially. Either way I disagree with his proposed solution for three reasons. 1) Even if our nation had “5%-10% of bad teachers,” we don’t have the backfill for that number of teachers — we need to look at re-training some. Has anyone looked at baby boom statistics, the rate of those leaving now or the number of college students who are even interested in this incessantly demeaned profession? Calculate that and you wouldn’t be so quick to make such a cavalier recommendation. 2) I disagree with the method of determining who is effective and who is not effective. Standardized tests are unreliable. Everybody on earth knows that. Plus, cheating is now rampant. The student’s performance that one day, that one test is an absurd measure. It’s stupid. 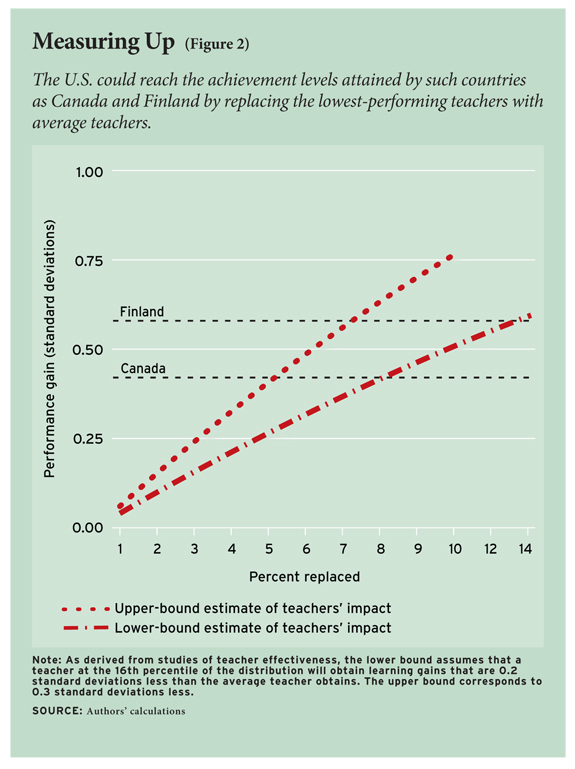 Why doesn’t Finland do this if the method is the magic elixir to great teachers? They don’t. Neither should we. 3) If nobody reverses course and continues to pile more of the same onto this decade of failed NCLB programs that public school teachers are forced to comply with, you won’t change a thing. Fire everybody and bring in 3-4 M new teachers, new Principals, etc. Nothing will change. Nothing. Go focus on the root cause. Lastly, I’m from corporate America and if I ever submitted a proposal, a budget, a document that stated I plan to eliminate 5%-10% of anything, I’d be laughed at. 5-10 % is a HUGE range. It seems to me as if it was a stab in the dark number which a year later corporate reformers hold up as the Holy Grail. This is silly. This formula, concept, so-called solution should be retired and not defended or discussed as if it were legitimate. Your defense of your pal Diane Ravitch isn’t right: Hanushek’s interview with Students First did NOT say that you’d need to fire the bottom 5-10% “over several years.” That is simply untrue. Do you see anything in there about “every year” or “annually”? No. Also, Rita, you need to read more and be less reactionary. Your point 2 (about test scores) seems to indicate that you didn’t make it to Hanushek’s 3rd-to-last paragraph. Question: where did the graph come from? What data is it based on? (Not to hog this space, but this debate really fires me up! Last one, I promise.) Haven’t we already tried this firing the bottom teachers thing? Isn’t this exactly the rationale behind the “turnaround” model pushed for in NCLB? When you go through and fire 50% or more of the teachers and then replace them with “better” teachers and then claim viola! a new magical, high-performing school is created, isn’t that the same? There are so many research-based reforms that we KNOW impact student achievement, i.e. high-quality Pre-K, small class sizes, adequately-funded schools, significant wrap-around services for high-poverty schools. What is the point in advocating something that is so unfounded and seems to be little more than mere speculation? Maybe we ought to take the teahcers of our white and Asian kids and replicate them. After all, they score at the top on PISA. KatieO makes very good points, including the following: “How do you decide who to fire when everyone is working so hard? Do you fire the fifth grade teacher who took on the inclusion classroom with 10 children with learning or behavior problems? Do you fire the kindergarten teacher whose students had never been to school before? Do you fire the 3rd grade teacher whose students had had a string of subs the entire year before and were completely out of control? Do you fire the special ed teacher whose students do not make progress as quickly as their peers? And what do you do with the 1st year teacher who is still learning her trade, is she to be fired because she hasn’t had time to improve? What about the art teacher? How do you judge her work? What kills me about this discussion happening right here is little to no admission of a middle ground. Either we have to put all our chips in with Hanushek and fire the bottom 5-10%, or we wear the colors of team Ravitch and can only support, not fire, consistently underperforming teachers (because any time I even think about firing a teacher, I must be using test scores as my barometer, which is crazy). Let’s face it, in any school, there are at least some teachers that really shouldn’t be in front of students. A mentor of mine once said that you can change someone’s skill, but you can’t change their will, and if a teacher truly isn’t positive that every student in front of them is capable of learning at a high level, then I’m not positive there’s anything I can do to fix that, and they need to be counseled out of the profession. No amount of professional development and support is going to make that teacher capable of excellence in the classroom, and yes, those resources are better spent on the random first year teacher, since odds are that they will have the will (as 95% of teachers do have the will needed). It’s simply not true that any evaluation system will catch those without the will, but some of the more rigorous models (such as the Danielson framework from ASCD and the Danielson Group, used now in PGCPS) does have the potential to rate teachers across multiple dimensions to both support growth and make it more apparent that there are some teachers that would be better off doing something else. Schools need to be fixed, absolutely, but the less we listen to the other side and have an actual debate of pragmatic ideas instead of polemic nonsense going back and forth, the less we actually achieve in the long run. @pgteacher I don’t think anyone is saying to never fire poor teachers. Everyone agrees on getting rid of the truly incompetent. I just think these “bad teachers” are really rare and therefore not worth all the hoopla education reformers and the media have made about the teacher quality issue. @KatieO Define “rare.” Despite what I think of Hanushek’s proposal, 5-10% of teachers sounds about right for those that really don’t have the will needed to succeed in these schools. Additionally, they really do have a negative impact on the school, if not on the learning, then on the culture – try teaching a group of students of any socioeconomic status right after they come out of a class that’s absolute bedlam. As for your second point, I’m never going to make an excuse for a teacher with a bad outlook on what students are capable of. Regardless of what some will call the reality, if we start admitting that some things may be impossible, then we’ve lost the battle before we even started fighting. No amount of professional development and support is going to make that teacher capable of excellence in the classroom, and yes, those resources are better spent on the random first year teacher, since odds are that they will have the will (as 95% of teachers do have the will needed). @pgteacher I do believe that the truly negligent, incompetent teacher is rare, as in one will almost never encounter this person is an entire career. Now, I am talking about outright neglect or abuse, offenses for which that teacher should not only be removed from the classroom, but ultimately probably should be in jail. These people should be dealt with swiftly and harshly. Outside that extreme, I believe we are talking about a very different phenomenon. Whenever we talk about those “bad” teachers, I hear an accusation of teachers sitting back and LETTING those high-poverty schools be terrible, no even CAUSING those schools to fail through willful neglect and pure laziness. I have never seen that in reality. I say that a teacher is only as good as the environment and his/her training and experience allow that person to be. What I’ve seen in schools is a teacher struggling horribly with a class, and then the administrator threatens, yells, and ultimately fires that teacher. So a new teacher steps in and, more often than not, experiences the exact same thing. And so the cycle goes. What was accomplished by that firing? Not much. When you do not deal with the actual CAUSES of the negative outcomes, no amount of firing is going to make a difference. The ultimate ridiculousness of the “fire your way to the top” policy is that you set teachers up to fail in these struggling schools and then blame them when they do. Go ahead and replace that teacher, heck replace all the teachers. Won’t make a difference until you deal with the actual problem. Listen, some teachers need more help. That’s what peer support programs like Anthony Cody mentioned come in. I am reminded of what Dr. Ravitch often says about Finnish teachers. When asked “what do you do with a struggling teacher?” Response: “We help them.” Ravitch: “And if they still struggle?” “Then we help them some more.” What a different outlook! If a teacher had a class that was “absolute bedlam”, my question is, “why didn’t anyone help that teacher!? !” Cut the class size in half, give her an aide, start co-teaching with the SpEd teacher, assign a veteran teacher mentor, observe her daily and give her feedback, help her write lesson plans, share and collaborate about what works. Why is the only answer we have to fire!?! If the school does everything is its power and still the problems can’t be remedied, then and only then should the teacher leave or be removed. It’d be so simple if all our education mess where just those darn, lazy, incompetent teachers. But it just ain’t so. What about the students stuck with a teacher who keeps getting chance after chance to become competent at delivering lessons? @Stuart Buck – Bravo, sir. @KatieO – Eventually, there comes a limit to the amount of support a teacher can get from administrators and other support staff before you can tell that it’s not going to work. We do give support to those struggling teachers, but again, there are teachers that don’t have the will. No, these aren’t teachers that are visibly negligent, and to an untrained eye they might not look much different than other teachers, but they have a measurably different impact on their students than other teachers. I’m also pretty sick of the Finland metaphors. How can we let that play both sides of the coin? Either we knock their standardized test scores because they have a homogeneous population, or we try to say they’ve got great standardized test scores due directly to their policies towards teachers. But what about the positions that end up having a different teacher every year, even many times within the same year? To me, this is the greater problem in urban schools and much more damaging to children. And what if teachers are not simply refusing to improve, but rather cannot within the given environment? When things aren’t working, change it up! Get more adults in the room, get a new innovative curriculum, do something else than simply burn through one teacher after the next. Not to sound like a broken record here, but we are setting teachers up to fail by underresourcing, overcrowding, ignoring mental and physical health issues, underpreparing, and then denying mentoring and support to teachers. So why are we surprised when they fail? It is not a lack of individual will. The problem is part of a systemic failure for our nation’s children. You can yell at a fish all day to start flying or else, but unless you brought some wings, don’t expect much. @KatieO Then we’re at an impasse. The point those in my camp are trying to make is that there are teachers in schools that simply shouldn’t be there for a multitude of reasons, and there is a limit to the amount of support (less than unlimited support) that can be given to teachers before some improvement needs to be seen. If it isn’t, then they need to be cut. Making schools better for ALL children is a difficult task, no one doubts that, and it is entirely possible that some otherwise well-meaning teachers are just not up to that difficult job. Why is it a bad thing to say that not everyone is cut out for the job they absolutely want to do? I grew up wanting to be a professional baseball player. Do I just need more and more support or should I choose a more appropriate career? @pgteacher Actually, I agree with you that teaching is not for everyone. But I really haven’t met many teachers who fall into this category and then choose to stick around. Maybe they’re out there, I believe you, but it’s also irrelevant. They are not why schools fail. I disagree when people like Hanushek act like these teachers are the reason why our urban education system fails. There are less effective teachers in every school, in every country (saw them in my affluent high school on the North Shore of Chicago, saw them in “high-performing” Japan more often than in the US). And yet, which schools fail?? Almost always the high-poverty, high-minority schools. All I want is to defend those teachers who are being labeled as ineffective because of where they are and what population of kids they choose to work with. Firing 5%, 10%, 50%, or 100% of a teaching force is not going to change things. I’m never going to make an excuse for a teacher with a bad outlook on what students are capable of. Regardless of what some will call the reality, if we start admitting that some things may be impossible, then we’ve lost the battle before we even started fighting. Even the students know this. 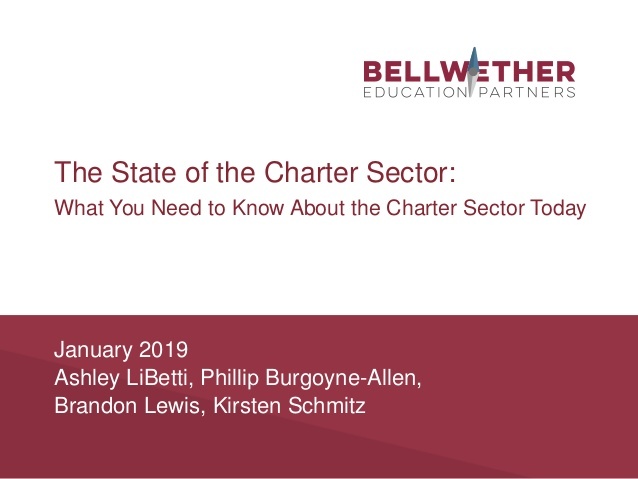 Why shouldn’t we listen to their viewpoints, rather than simply arguing amongst ourselves as teachers?–we are NOT the critical factor of the school system that keeps it going forward….the students are. The educational system has been a failure since William Farrish began his grading method in the 1800s and the world followed his lead. That led to the boom in public education, ultimately being free to everyone eventually. That also led to the focus on summative, rather than formative assessments–not a good thing. But the reality is that formative assessment is difficult when a teacher has 35 or more students crammed into one classroom. The student-teacher ratio is pitiful! As an English teacher, such a ratio is an equation for failure from day one. Sadly, it’s safe to say that too much money is wasted on the education of at least 5-10% of students above the age of 14 (if not younger) who would better serve their families and communities by being able to work rather than sitting in a classroom 35-40 hours a week, at most memorizing information they’ll forget after tests, if they ever learn it in the first place. Some kids’ greatest achievement by the 10th grade has been having the most spit-wads stick to the ceiling of the classroom–some just aren’t cut out to be in there, and it’s obvious. I realize that many students “mature out” of thirteen-ish behaviors when they’re older adults, and then decide they want more education. Well, in our world, it’s very easy to get leveling courses through an accredited online school and also finish a degree if one wants to, all while being able to work. So, a student NOT being in the classroom after 14 if they don’t want to be wouldn’t be the end of the world; there is always a way to gain formal education while getting hands-on, real world experience (and the latter helps students mature). Should negligent teachers be in the classroom?–of course not. But when there are teachers who do everything they can possibly do with their expertise and available resources and they STILL can’t reach every child (who is mentally capable of learning), the problem isn’t the teacher–the problem is the student AND that student’s parents/guardians. Some students are NOT capable of learning, whether or not they have mental capacity to do so, OR they aren’t willing to learn. Not every kid should be prepared [that is, forced into a standard] as if they’re going to college (and in fact, the economy is so terrible this day in age that a Bachelor’s degree does nothing but leave the student filing for bankruptcy because they can’t get a job to pay off their loans; even before the bad economy, only about 20% of college graduates worked in their degree field). Even if getting a degree was plausible for every person, the world still needs garbage men (who, by the way, don’t get paid too badly for the work they do), and some people are quite happy with such jobs. Why do they need to know trigonometry? Some teachers do not belong in the classroom, agreed. But teachers can’t take all the responsibility for the achievement of students. The students must have accountability–a word that the vast majority of them have never heard and don’t understand its concept (and the system allows them to go on not understanding it). The students should also have parents who participate in their learning experience and discipline them when there are behavioral issues. Kids these days are babied beyond belief in the school system. And if the system isn’t working (and it isn’t), none of these factors will work at their best potential (not even good potential), so our arguments on this page about what should or should not be done about “bad teachers” really wouldn’t solve anything. There are “good” and “bad” teachers, but for the most part, teachers are simply scapegoats. Period. And that’s my humble opinion….take it or leave it. Q: Was Arne Duncan wrong when he said our evaluation system was broken because 95% of teachers received satisfactory ratings? A: Not according to Eric Hanushek who says over 90% of our teachers are really quite good. disincentive for cooperation among the staff. But, leaving those problems aside, what does Eric Hanushek say about the quality of teachers? And where would he suggest his research leads? If the average teacher is actually ‘quite good,’ does that suggest that the system is failing and needs to be drastically restructured? Or does it suggest that, as regards teacher quality, it is basically sound? Does it seem to justify removing 5 to 8% (10%?) of teachers year after year? Also, if we need to remove only 5 to 8% (it seem to have gone up to 10% only in the WSJ article) – a big article of faith with the Teacher Quality people – what does that say about the other 90 to 92 to 95%? So, again,was Arne Duncan wrong when he said the evaluation system was broken because 95% of teachers received satisfactory ratings? (2) Eric Hanushek, “There Is No ‘War on Teachers’ There is a growing bipartisan agreement on the importance of rewarding good ones,” WSJ Opinion October 19, 2010. As always, he incluided the claim, “The U.S. could move from below average in international comparisons to near the top.” Having to reaccess this, I found it at a website associated with Oklahoma State called Orange Power (http://www.orangepower.com/threads/there-is-no-war-on-teachers-wsj.102284/) and including the following posted comment, “After all, the good employees in any work setting would rarely need a union. Only the bad ones need the shelter of the union.” Nearly all the rest of the comments focused on unions. Oh Golly, Eric Hand-You-Another Lie Hanushek is at it again. 1. So did Finland and Canada arrive at their education destination by weeding out the bad teachers? A big fat NO. And please don’t give me the crap about Finland recruiting from the top 1/3. There is little evidence showing that the intelligence of a teacher, either through college GPA or outcomes on graduate or certification tests, improves student learning here in the U.S. – so don’t even go there with me. 2. How does Hand-You-Another Lie Hanushek derive his theories – where is there huge performance gaps among teachers? TEST SCORES of students – which can be completely fabricated and invalided by teaching to the test, teaching THE test, or downright cheating. The first two now dominate classroom instruction as teachers must play the testing game to hang on to their jobs. And this doesn’t even take into consideration the fact that teachers of students that come from poverty will not display growth or proficiency outcomes like their wealthier peers (no VAM does not rescue teachers of children of poverty). Of course, this is assuming the teachers are really teaching and not teaching to the test (or worse) which serves to inflate scores. So here again Hand-You-Another Lie is misinforming policy makers and the general public about teachers. This makes teachers at Title I schools look like terrible teachers, which we of course know is not true. So Hanushek’s method of figuring out there are at least some bad teachers is FLAWED, and now he wants us to take action based on his ridiculous theories. And the absolute gravest of errors is that Hand-You-Another Lie doesn’t mention the theoretical improved performance of our children if we were to reduce the number of our children entering school from homes steeped in poverty. If the U.S. were to improve child poverty rates even by half, we would see outcomes hundreds of times greater than dismissing teachers we hope are incompetent. Why do you think there were such increases on NAEP in the 90’s and early 2000’s? This was a time we saw child poverty rates plummet and approach 10%, until the late 2000’s where they began to increase and more than double from the rates in the 90’s. Hand-You-Another-Lie should be jailed for the damage he has done to our educational system, and, in turn, the damage Hand-You-Another Lie has done to our kids – he should be sent directly to jail.